黄荣辉, 陈文, 魏科, 等. 2018. 平流层大气动力学及其与对流层大气相互作用的研究:进展与问题 [J]. 大气科学, 42(3): 463-487. Huang Ronghui, Chen Wen, Wei Ke, et al. 2018. 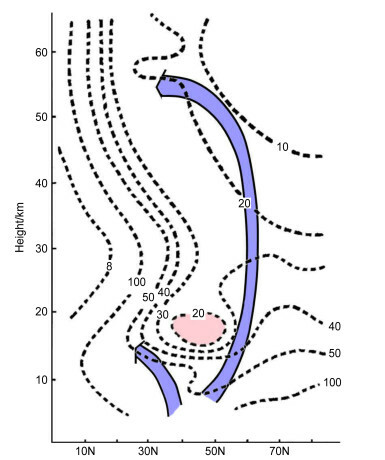 Atmospheric Dynamics in the Stratosphere and Its Interaction with Tropospheric Processes: Progress and Problems [J]. 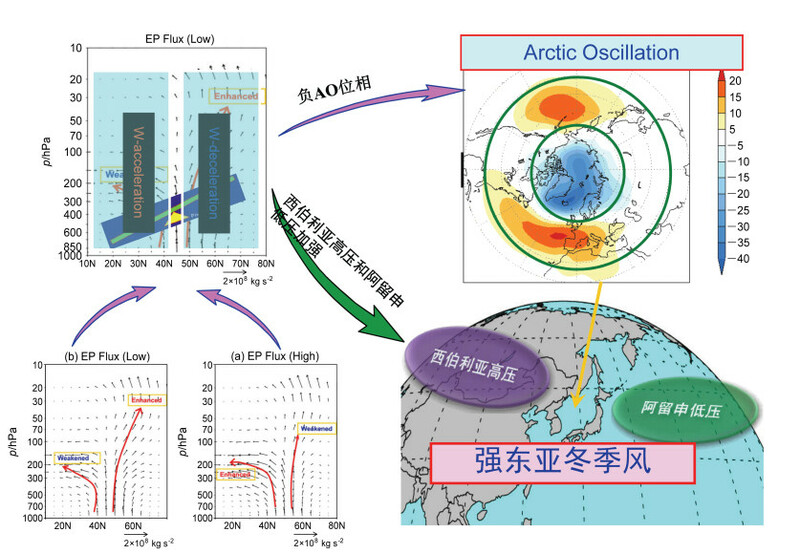 Chinese Journal of Atmospheric Sciences (in Chinese), 42(3): 463-487, doi:10.3878/j.issn.1006-9895.1802.17250. Abstract: This paper synthesizes and reviews progress in recent researches on the atmospheric dynamics in the stratosphere and its dynamical interaction with the tropospheric processes, with focuses on the dynamics of quasi-stationary planetary waves, the wave-basic flow interaction in the tropical stratosphere, the impact of atmospheric circulation variability in the stratosphere on circulation variability and climate in the troposphere, the numerical simulation of stratospheric atmosphere and climate projection in the stratosphere under the background of global warming. Recent researches revealed the waveguide variability of planetary waves and its association with northern annular mode, the importance of a wider spectrum of gravity waves in forcing a realistic quasi-biennial oscillation (QBO) and global meridional circulation, the cooling trend in the stratosphere and the importance of stratospheric processes for weather and climate anomalies near the surface. More in-depth studies on the atmospheric dynamics in the stratosphere and improvements of the model performance in the stratosphere will further promote the progress in the atmospheric science and climate change research. Andrews D G, Holton J R, Leovy C B. 1987. Middle Atmosphere Dynamics [M]. New York, NY, USA: Academic Press: 489pp. Baldwin M P, Stephenson D B, Thompson D W J, et al. 2003b. Stratospheric memory: Effects on the troposphere[C]//Proceedings of the 14th Conference on Atmospheric and Oceanic Fluid Dynamics. San Antonio, TX: American Meteorological Society, 215-220. Eliassen A, Palm E. 1961. 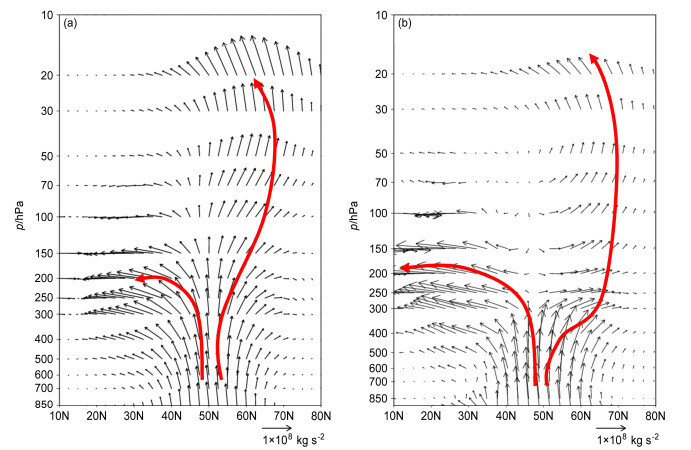 On the transfer of energy in stationary mountain waves [J]. Geophys. Publ., 22(3): 1-23. Heath D F, Hilsenrath E, Krueger A J, et al. 1974. Observations of the global structure of the stratosphere and mesosphere with sounding rockets and with remote sensing techniques from satellites [M]. 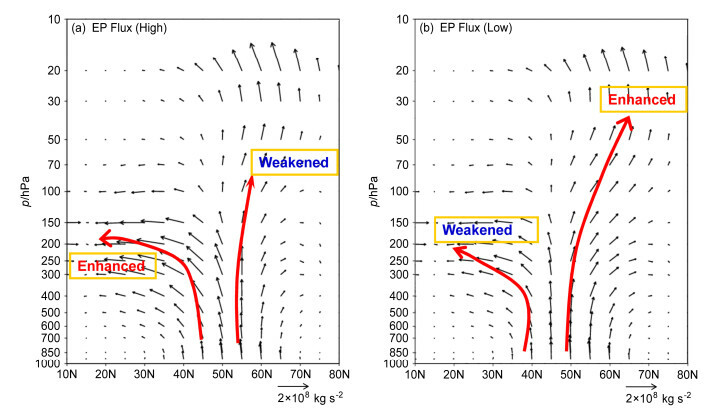 Structure and Dynamics of the Upper Atmosphere. Amsterdam: Elsevier Scientific Publishing Company: 131-198. 黄荣辉, 岸保勘三郎. 1983. 关于冬季北半球定常行星波传播另一波导的研究[J]. 中国科学B辑, 13(10): 940-950. 廖荃荪, 王永光. 1998. 赤道平流层QBO与我国7月雨型的关联[J]. 应用气象学报, 9(1): 104-108. Liao Quansun, Wang Yongguang. 1998. The relationship between quasi-biennial oscillation (QBO) of equatorial stratosphere and the rainfall belt of July in China (in Chinese)[J]. Quart. J. Appl. Meteor., 9(1): 104-108. Myhre G, Shindell D, Bréon F-M, et al. 2013. Anthropogenic and Natural Radiative Forcing [J]. In:Stocker T F, Qin D, Plattner G-K, et al. (eds). Climate Change 2013:The Physical Science Basis. Contribution of Working Group Ⅰ to the Fifth Assessment Report of the Intergovernmental Panel on Climate Change. Cambridge, United Kingdom and New York, NY, USA:Cambridge University Press: 659-670.